:: Back Pain? Acupuncture Provides Relief in Just 15 Minutes! Winter 2015 may go down in history as one of the coldest on record! Punxsutawney Phil saw his shadow, so we may be in for a bit more of the frosty temps. If the weather is getting you down, make a conscious choice to find the good in the season - you'll be much more content this way! And if joint pain or stiffness flares up during the cold spells, make sure you stretch daily and stop in for an adjustment. Movement is life and chiropractic care can help keep you in motion! Only 111 days left till summer! Now is the perfect time to start getting in shape - here are some apps that can help! Traumatic brain injury (TBI) is a physically and emo- tionally challenging condition with potentially long-term consequences. No two injuries are the same, but most injuries affect thinking, language, learning, emotions, behavior, sensation and motor skills. TBI can cause epilepsy and increase the risk for disorders that become more prevalent with age such as Alzheimer's and Parkinson's disease. It is a serious condition often called the "silent epidemic" in part because TBI is often undiagnosed and misunderstood by peer and families of the injured person. 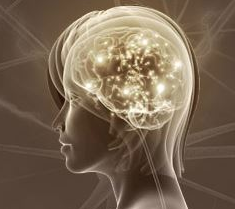 A brain injury affects the function of neurotransmitters, the brain's messengers, which can alter the way a person thinks, acts, feels and moves. Chiropractic neurological care can help reduce interference in the nervous system, enabling the body and brain to function optimally; neurofeedback training helps retrain abnormal brain-wave patterns caused by brain injuries, providing long-lasting, for some even permanent, relief of many symptoms. Both are important components in a TBI recovery plan. Dr. Reynolds specializes in TBI and utilizes these unique therapies and other non-drug modalities such as the Epley Maneuver to help his patients regain their health and increase the quality of their lives. Read below about the journey to recovery from Dr. Reynolds' TBI patient Aaron. Back Pain? Acupuncture Provides Relief in Just 15 Minutes! A recent study of emergency department patients complaining of acute lower back pain reveals that acupuncture immediately and significantly relieves lower back pain. 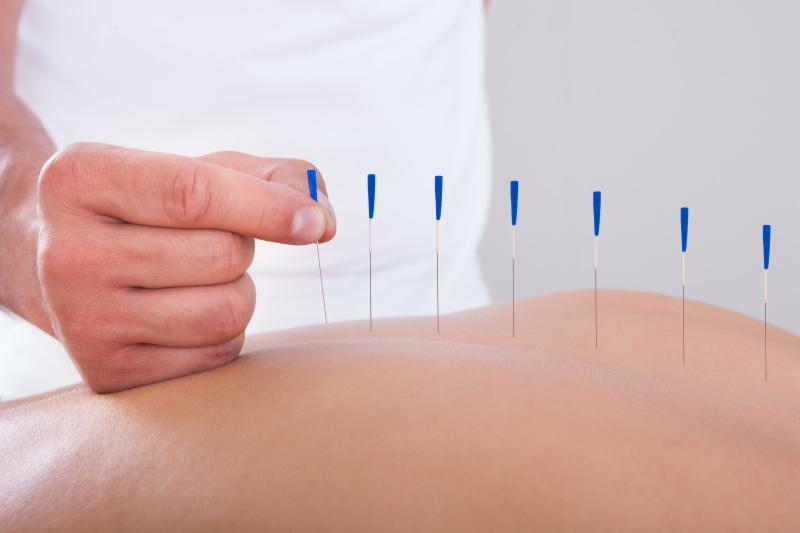 Data from the controlled study showed that patients receiving acupuncture experienced significant pain relief within only 15 minutes of treatment! Follow up conducted three days post treatment confirmed lasting results! Acupuncture helps release natural painkillers that can be 10-200 times more potent than morphine and helps stimulate the body's built-in healing mechanisms. If you're experiencing back pain, come in for a visit with our licensed acupuncturist Lori Fortunato, LAc. Working directly with the body's natural flow of energy or "chi," Lori can help release tension and restore balance naturally, without side effects that are common with medication. Proper nutrition is essential to fetal development and an expectant mom's cognitive and physical well-being. Lifestyle and dietary changes prior to conception are the best bet for a healthy pregnancy, but it's never too late to adopt a nutritious eating plan! What you do and eat during pregnancy will affect your baby's future! If you are pregnant or planning to become pregnant, you'll want to attend Dr. Chiappino's Prenatal Parenting lecture on Monday, March 23, 2015 7:30pm at Babies R Us in Sayville. In this informative lecture, Dr. Chiappino will discuss ways to promote healthy brain development in utero and how to keep a healthy food regimen for you and your baby. You'll learn about supplements and nutrient-rich foods that will promote your baby's physical and mental health as well as non-drug alternatives that are safe during pregnancy to help alleviate pain, anxiety, depression and other conditions. Dr. Chiappino's lecture will also address the relationship between nutritional deficits, gene mutation and autism as well as how good nutrition influences genetic expression. For more information on this free lecture, contact our office at 631.265.1223 or Babies R Us Sayville at 631.218.9101. Supplements: 10% off in-stock nutraMetrix® Heart Health Essential Omega III Fish Oil with Vitamin E.